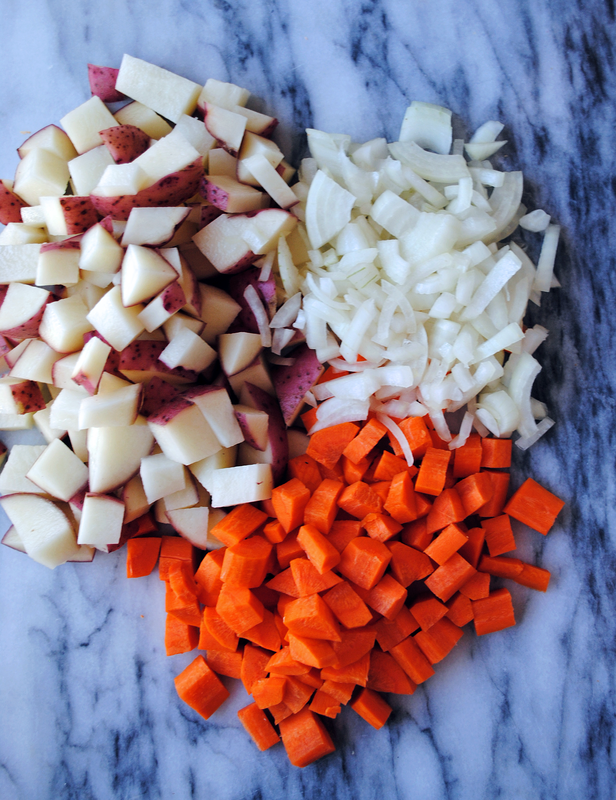 Dice red potatoes, carrot, and onions. Toss with olive oil, salt and pepper and roast at 450 degrees for 20 minutes. 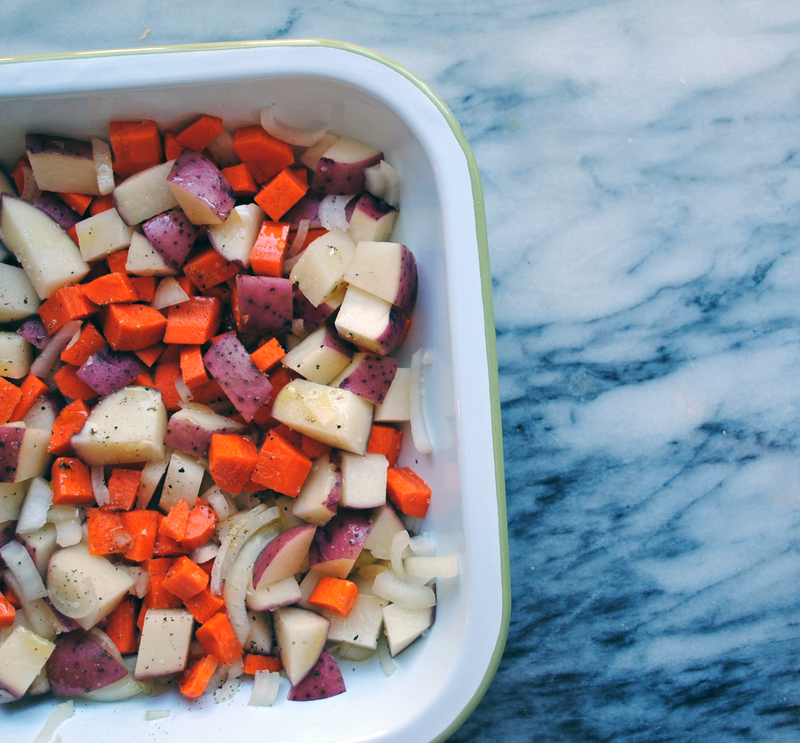 Add roasted mixture to a large pot with 1 tbsp of olive oil. As the mixture heats up, stir in flour until it dissolves and coats the vegetables. Add chicken stock and half and half and bring the soup to a low boil. 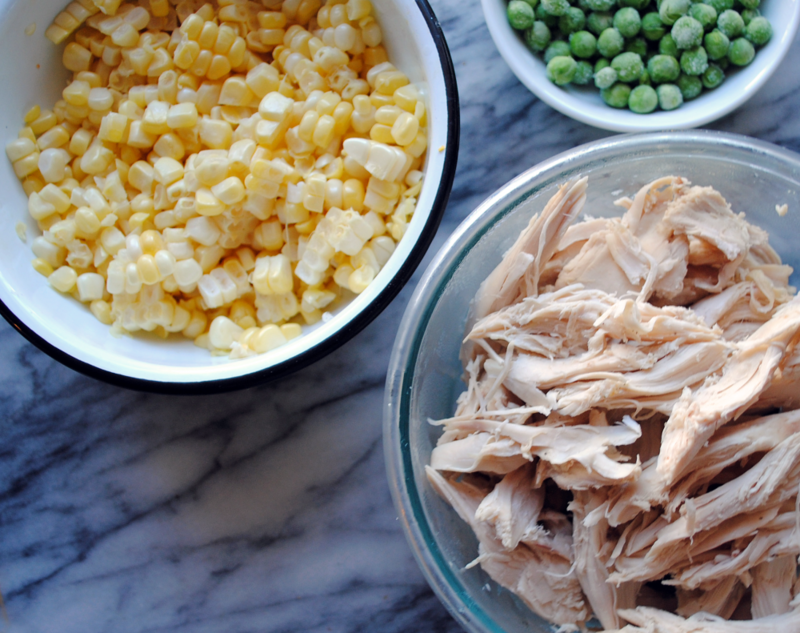 Reduce to medium heat and add in chicken, corn, and peas. Simmer for 15 minutes to blend flavors; add salt and pepper to taste. 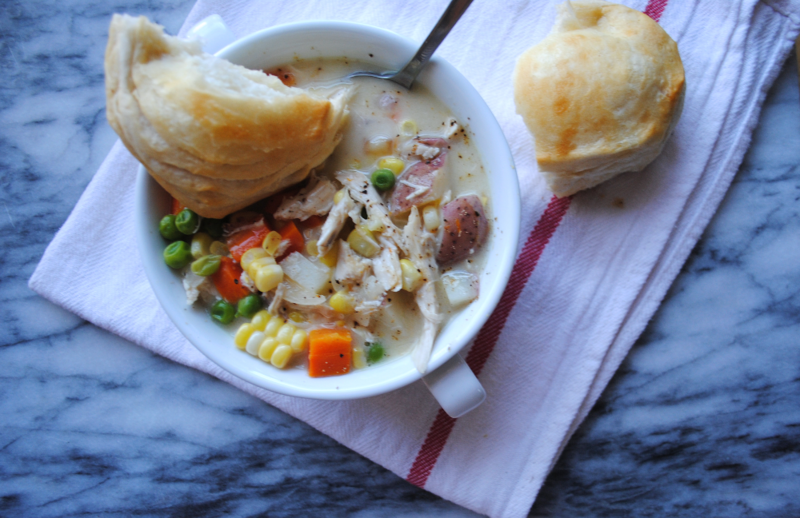 Serve with a warm biscuit for dipping. Sweet Potato Blue Cheese Frittata. Mac and Cheese Baked Apples. 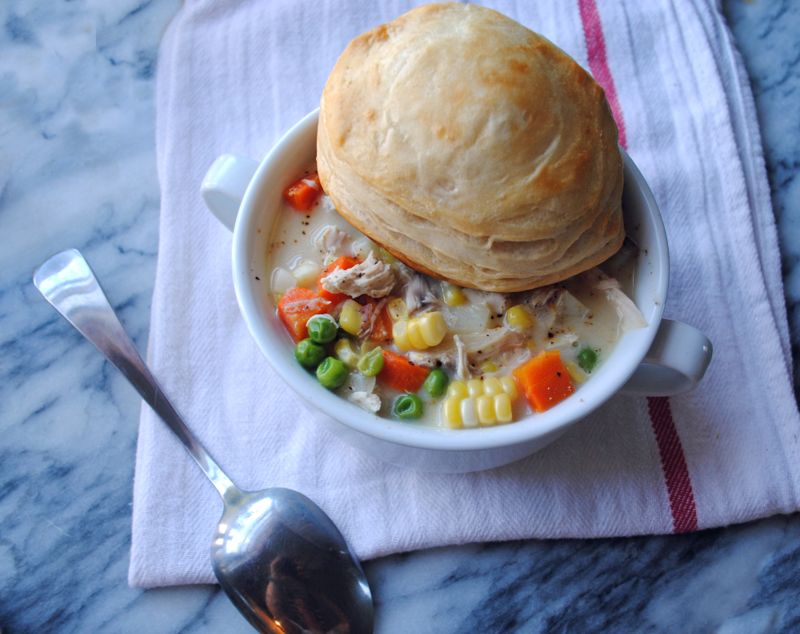 8 Responses to "Chicken Pot Pie Soup." Um, yum!! Whenever the weather starts cooling off more, I will be trying this! This is perfect for the weather today in Boston! I can’t wait it try this! How many servings does this make? Brittany – about 4 servings! Making this! How do you think it will do in a crockpot? Any recommendations?